1956 | 4:3 | BLACK & WHITE | Quality: Very Good - Print shows age in some places but very watchable. 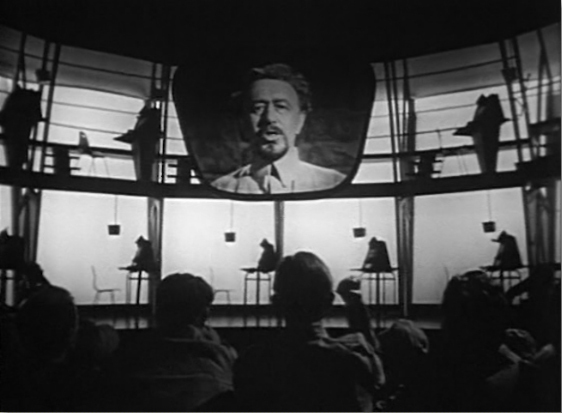 Interest in Orwell's classic dystopian tale has increased recently with the election of Donald Trump, and as we try to navigate our current climate of "Fake News" and "Alternative Facts," this classic story of life in a totalitarian society dominated by "newspeak" and "thought-police" rings chillingly familiar. 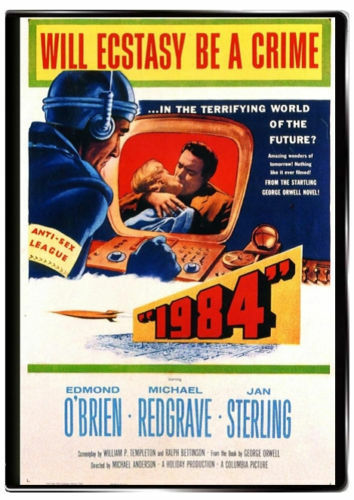 This hard-to-find film was the first big-screen adaptation of Orwell's groundbreaking work and brings the novel to life brilliantly! In a nightmarish futuristic society where the government has total control of everything, with the all-seeing Big Brother keeping a constant eye on the citizens, people live in the constant shadow of fear. The Ministry of Truth rewrites history as it sees fit. Romance is outlawed, and the penalties for defiance are severe. Nothing is pretty or glossed over in this story, and it serves as a stark warning to us and where we are headed today. As an aside, fans of Star Trek: The Next Generation will be delighted to see the origins of the famous "THERE ARE FOUR LIGHTS" torture scenes from the episode "Chain of Command." 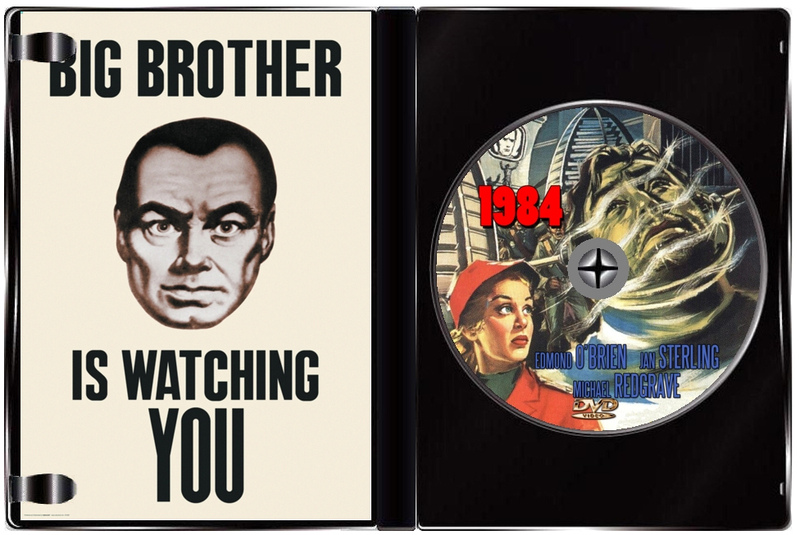 BONUS: INCLUDED ON THE DISC ARE TWO MP3 FILES OF RADIO PRODUCTIONS OF 1984 - ONE IS THE VERY FIRST ADAPTATION OF THE NOVEL DONE IN 1949 BY NBC UNIVERSITY THEATER. THE OTHER IS A 1965 PRODUCTION DONE BY THE BBC STARRING PATRICK TROUGHTON! 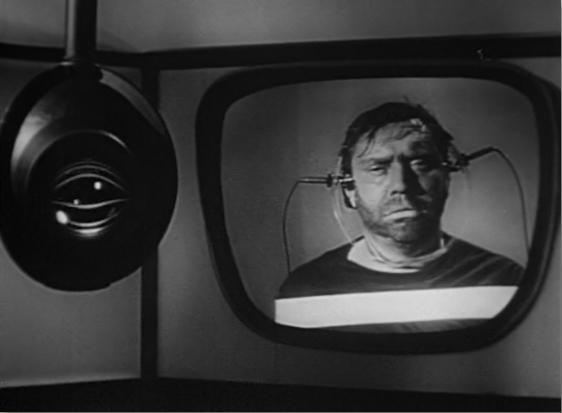 Edmond O'Brien may seem a bit old for the part of Winston Smith, but there was never a greater "everyman" actor which is what the story calls for. 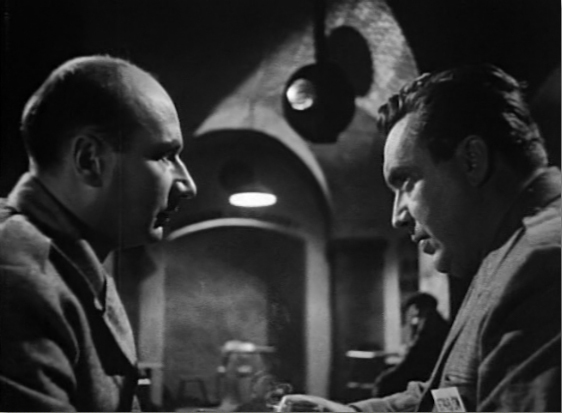 Michael Redgrave's performance is the star here, as he lures Winston into assuming he is a member of the fictitious underground - his callous indifference to O'Brien's suffering is truly terrifying. O'Brien and Sterling work well together and there is a good deal of time devoted to the development of their romance which serves to make us care more about the couple's fate. The photography is very clever - Smith's workplace with its many floors, with the drones sitting there rewriting the truth and converting it into new-speak like a well-oiled machine. 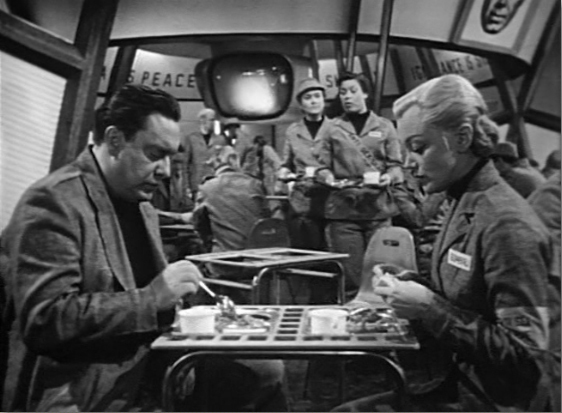 The set design conveys perfectly a horrifying totalitarian state where even a night's walk is a perilous proposition. The feel of the tyranny, its oppressive surveillance, answering a hundred questions as to your perambulations, is ever-present. Looming in the background always are screens with the iconic INGSOC slogans: War is Peace, Freedom Is Slavery, Ignorance Is Strength.